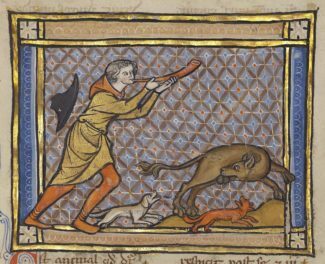 In medieval times, fine carvings in alabaster were amongst the most prized and sought after works of art. 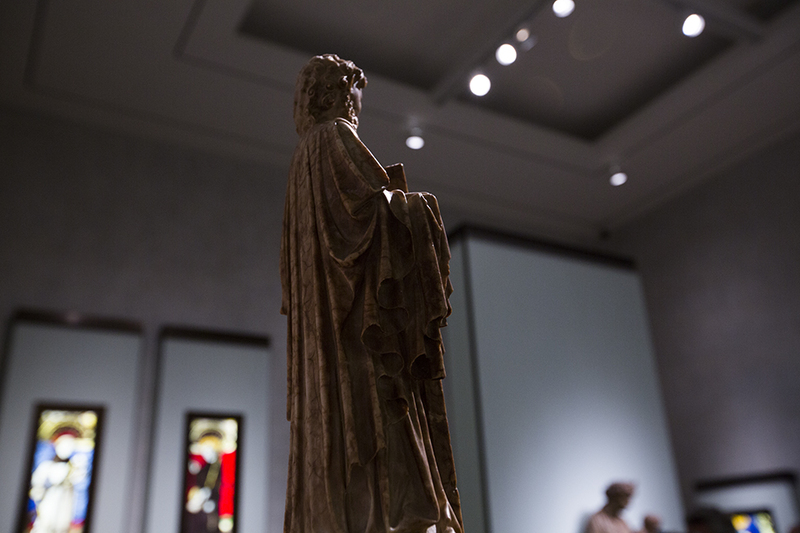 A soft stone that can be carved in the finest detail, alabaster was often used for small figures such as the statuette of Saint Philip that the Getty Museum has just acquired. 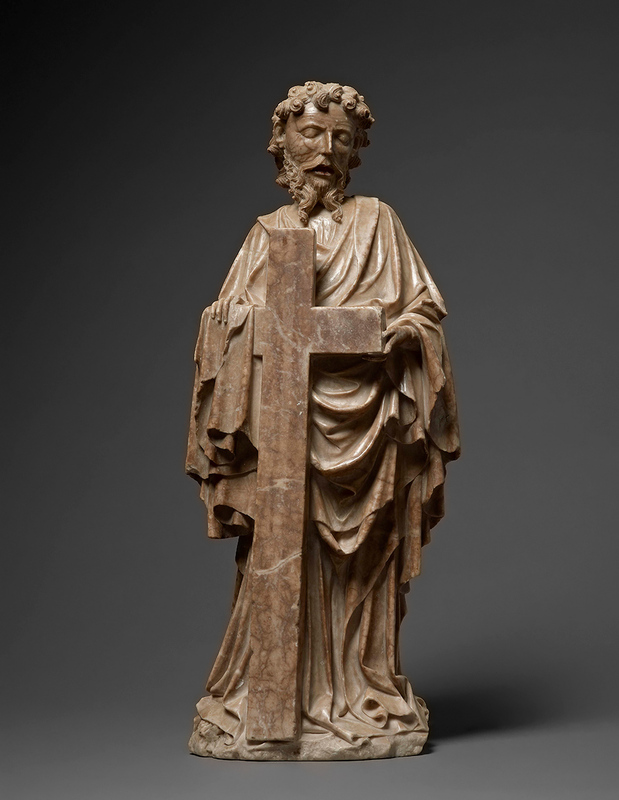 The statuette, dating from about 1420–1430, represents the apostle Saint Philip holding a cross, a reference to his death by crucifixion. 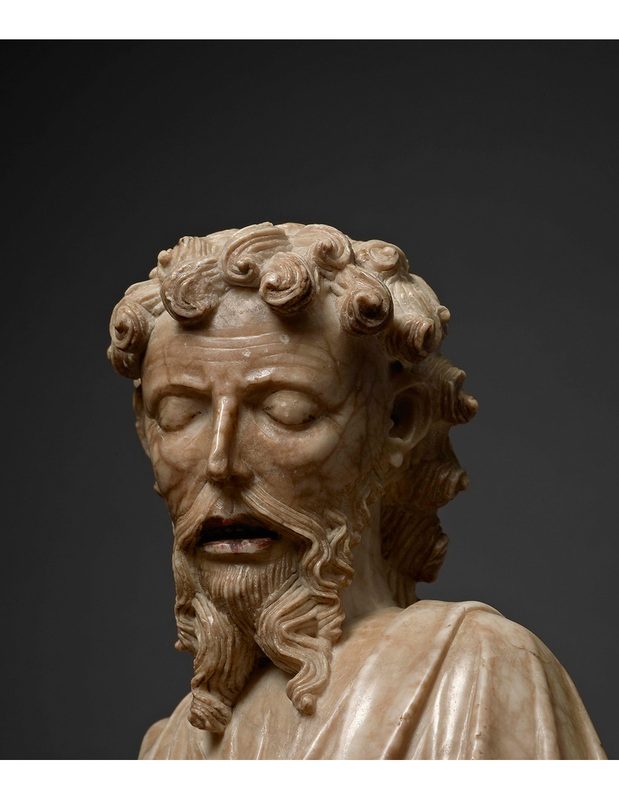 Although some areas of the figure were once painted in multiple colors—traces of pigment are still visible on his lips and eyes—it is likely that the sculpture was left mostly unpainted to highlight the lively surface of the polished alabaster, with its attractive veining. 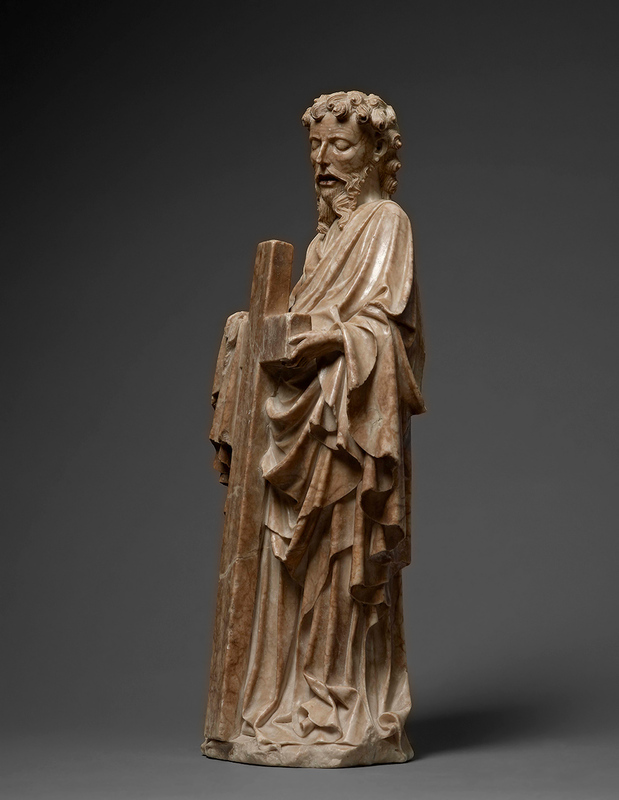 Saint Philip was carved by the Master of the Rimini Altarpiece, the most influential alabaster sculptor of the South Netherlands in the early 1400s. 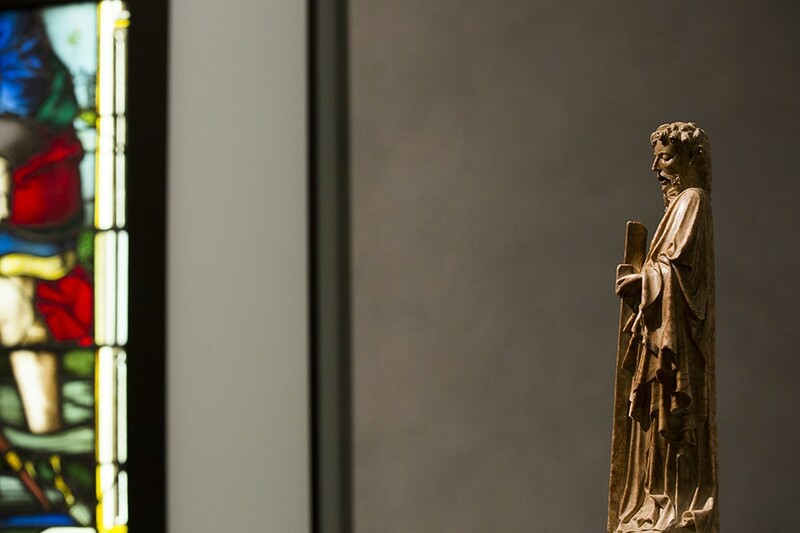 This artist takes his name from his most famous work, an alabaster altarpiece that once adorned the Church of Santa Maria delle Grazie in Covignano, just outside the Italian city of Rimini, and that is now conserved in the Liebieghaus in Frankfurt, Germany. 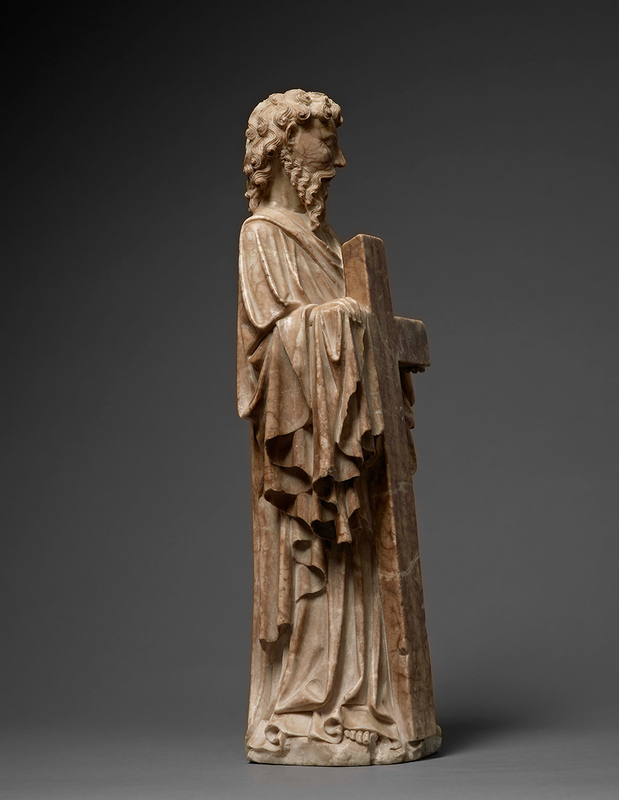 This statuette of Saint Philip was probably once part of a group of all twelve apostles made to decorate a now-lost altarpiece in a church or private palace. 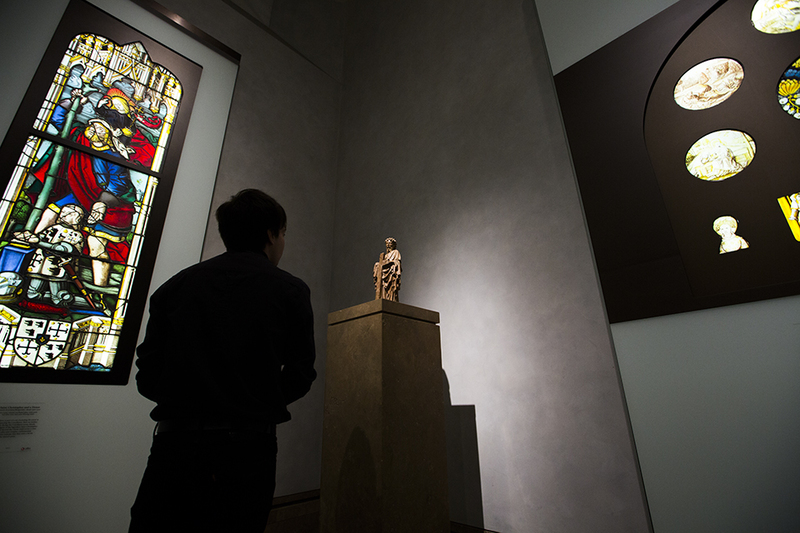 Such altarpieces had small niches to house statuettes of saints and apostles, surrounding a bigger niche reserved for a group depicting the Crucifixion or the Virgin with the dead Christ. Many such altars were dismantled and their pieces scattered across Europe during the Reformation of the sixteenth century. 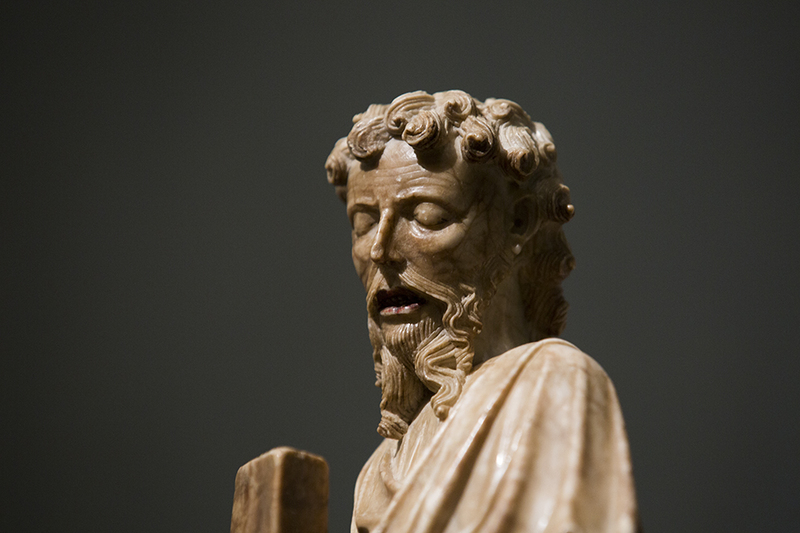 Among the alabasters attributed to the Master or Rimini, Saint Philip stands out for its exceptional quality and preservation. 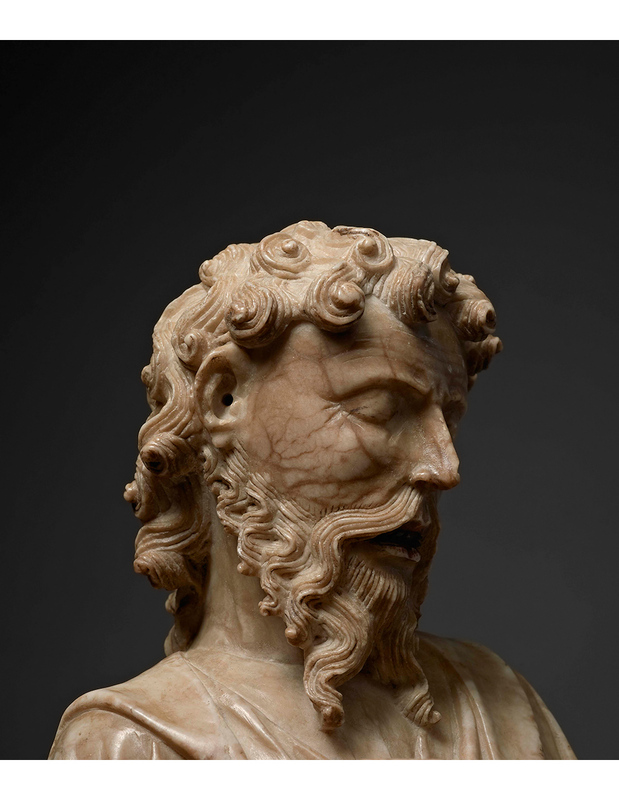 The drapery folds, beard, teeth, and wrinkles around the eyes are carved with great finesse. 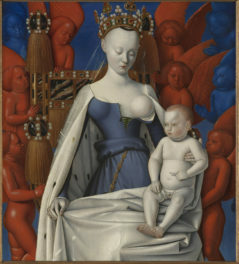 Working on a very small scale, the artist succeeds at conveying the saint’s religious devotion through a remarkably vivid facial expression. 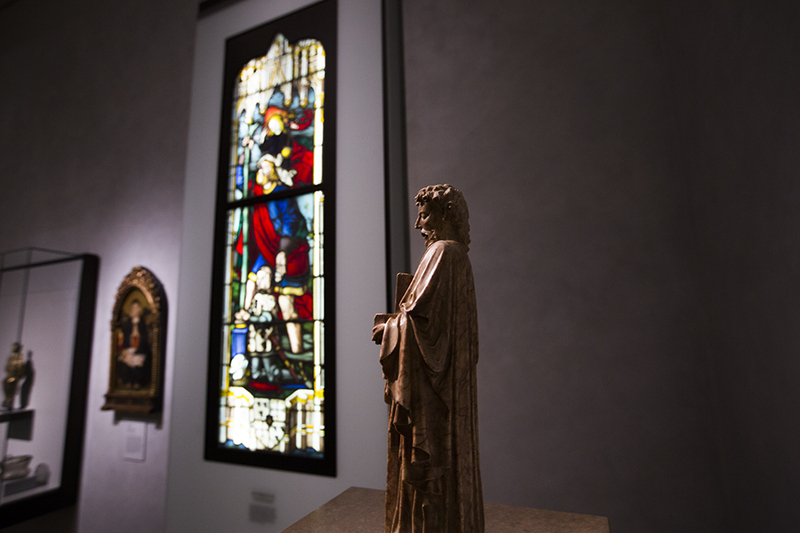 This masterpiece of late-Gothic sculpture is on view now in the Getty Museum’s North Pavilion, Gallery N103, at the Getty Center.